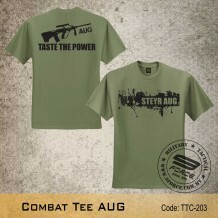 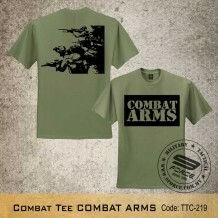 MILITARY TEE AUG, ARMY GREEN Code: TTC203 Size: S, M, L, XL, 2XL Meterial: Thick 250 g/m² Cotton - Military style - Convenient and comfortable ..
Name: Combat Tee AUG Code: TTC123 Size: S, M, L, XL, 2XL Meterial: Thick 250 g/m² Cotton - Military style - Convenient and comfortable ..
Name: MILITARY TEE COMBAT ARMS, ARMY GREEN, TTC219 Code: TTC-219 Size: S, M, L, XL, 2XL Meterial: Thick 250 g/m² Cotton - Military style - Convenient and comfortable ..
Name: MILITARY TEE COMBAT ARMS, KHAKI, TTC139 Code: TTC-139 Size: S, M, L, XL, 2XL Meterial: Thick 250 g/m² Cotton - Military style - Convenient and comfortable ..
Name: MILITARY TEE Combat Tee COMMANDO, FREE SHIPPING OFFER NOW! 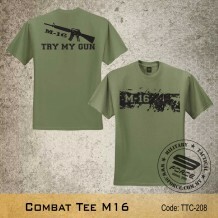 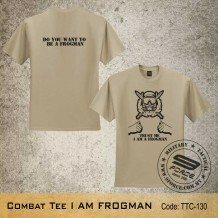 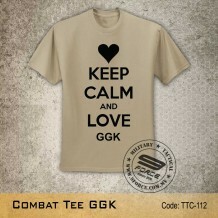 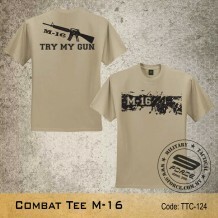 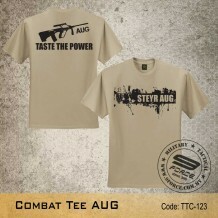 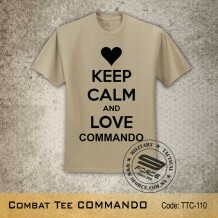 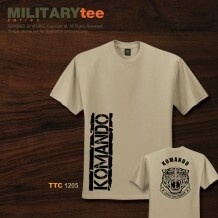 Code: TTC-137 Size: S, M, L, XL, 2XL Meterial: Thick 250 g/m² Cotton - Military style - Convenient and comfortable ..
MILITARY TEE COMMANDO, KHAKI Code: TTC-110 Size: S, M, L, XL, 2XL Meterial: Thick 250 g/m² Cotton - Military style - Convenient and comfortable ..
Name: COMBAT TEE COMMANDO(OD GREEN) Code: TTC-217 Size: S, M, L, XL, 2XL Meterial: Thick 250 g/m² Cotton - Military style - Convenient and comfortable ..
MILITARY TEE CQB, KHAKI Code: TTC-140 Size: S, M, L, XL, 2XL Meterial: Thick 250 g/m² Cotton - Military style - Convenient and comfortable ..
Name: COMBAT TEE CQB(OD GREEN) Code: TTC-220 Size: S, M, L, XL, 2XL Meterial: Thick 250 g/m² Cotton - Military style - Convenient and comfortable ..
Name: Military Tee Digital Camo Inner Shirt, FREE SHIPPING OFFER NOW! 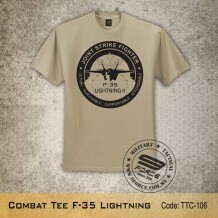 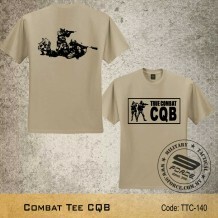 Code: TTC-120 Size: S, M, L, XL, 2XL Meterial: Thick 250 g/m² Cotton - Military style - Convenient and comfortable ..
MILITARY TEE F-35 LIGHTNING, KHAKI Code: TTC-106 Size: S, M, L, XL, 2XL Meterial: Thick 250 g/m² Cotton - Military style - Convenient and comfortable ..
Name: COMBAT TEE I AM FROGMAN Code: TTC-130 Size: S, M, L, XL, 2XL Meterial: Thick 250 g/m² Cotton - Military style - Convenient and comfortable ..
Name: MILITARY TEE Combat Tee FROGMAN(OD GREEN) Code: TTC-204 Size: S, M, L, XL, 2XL Meterial: Thick 250 g/m² Cotton - Military style - Convenient and comfortable ..
Name: COMBAT TEE KOMANDO Code: TTC-144 Size: S, M, L, XL, 2XL Meterial: Thick 250 g/m² Cotton - Military style - Convenient and comfortable ..
Name: MILITARY TEE Combat Tee GGK, FREE SHIPPING OFFER NOW! 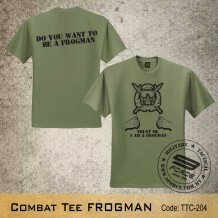 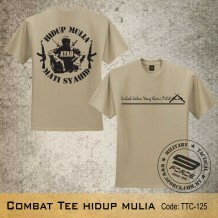 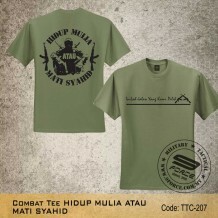 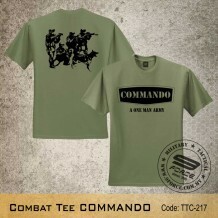 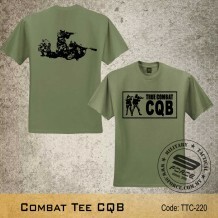 Code: TTC-112 Size: S, M, L, XL, 2XL Meterial: Thick 250 g/m² Cotton - Military style - Convenient and comfortable ..
Name: MILITARY TEE Combat Tee HIDUP MULIA ATAU MATI SYAHID(OD GREEN) Code: TTC-207 Size: S, M, L, XL, 2XL Meterial: Thick 250 g/m² Cotton - Military style - Convenient and comfortable ..
Name: MILITARY TEE Combat Tee HIDUP MULIA Code: TTC-125 Size: S, M, L, XL, 2XL Meterial: Thick 250 g/m² Cotton - Military style - Convenient and comfortable ..
Name: MILITARY TEE Combat Tee JPAM Code: TTC-114 Size: S, M, L, XL, 2XL Meterial: Thick 250 g/m² Cotton - Military style - Convenient and comfortable ..
NAME: MILITARY TEE KAGAT LOGO CODE: TTK113 • 180 g/m² (5.3 Oz per sq yd) • 100% ring spun cotton preshrunk jersey knit • KRS 24/1 yam. 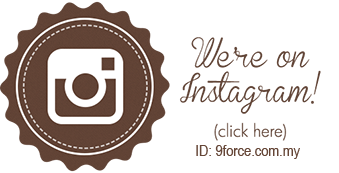 • Single needle 2cm collar. 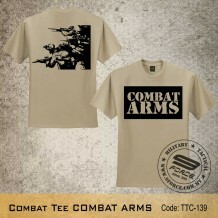 • Taped neck shoulder. • Tubular construction, • Double needle sleeve &..
NAME: MILITARY TEE KJLJD LOGO CODE: TTK112 • 180 g/m² (5.3 Oz per sq yd) • 100% ring spun cotton preshrunk jersey knit • KRS 24/1 yam. 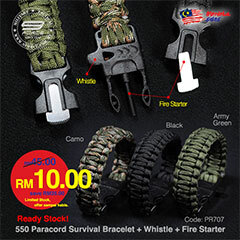 • Single needle 2cm collar. 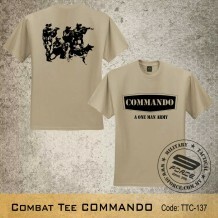 • Taped neck shoulder. 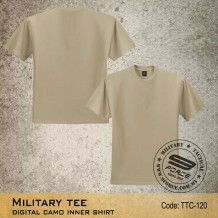 • Tubular construction, • Double needle sleeve & bottom hems. 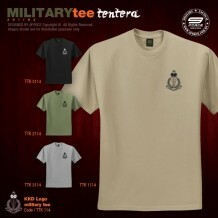 ..
NAME: MILITARY TEE KKD LOGO CODE: TTK114 • 180 g/m² (5.3 Oz per sq yd) • 100% ring spun cotton preshrunk jersey knit • KRS 24/1 yam. 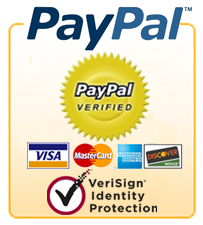 • Single needle 2cm collar. 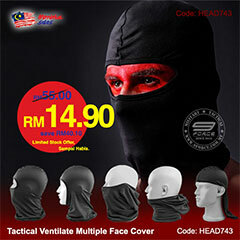 • Taped neck shoulder. 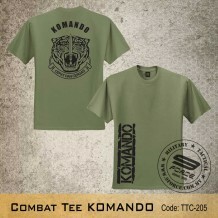 • Tubular construction, • Double needle sleeve &..
Name: MILITARY TEE Combat Tee KOMANDO(OD GREEN) Code: TTC-205 Size: S, M, L, XL, 2XL Meterial: Thick 250 g/m² Cotton - Military style - Convenient and comfortable ..
Name: MILITARY TEE Combat Tee M-16 Code: TTC-124 Size: S, M, L, XL, 2XL Meterial: Thick 250 g/m² Cotton - Military style - Convenient and comfortable ..
Name: MILITARY TEE Combat Tee M16(OD GREEN) Code: TTC-208 Size: S, M, L, XL, 2XL Meterial: Thick 250 g/m² Cotton - Military style - Convenient and comfortable Code: TTC-143 Size: S, M, L, XL, 2XL Meterial: Thick 250 g/m² Cotton ..